"Hold it, Falcon! You made a fatal mistake messing around here! This is my turf!" "Back away from that carcass... and I may let you live!" "You lose Samurai! And I've got no time for losers! See you around!" 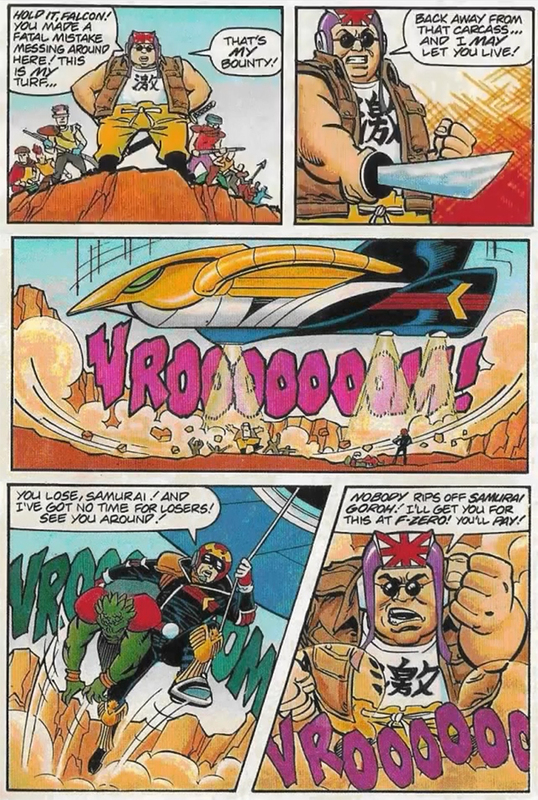 "Nobody rips off Samurai Goroh! I'll get you for this at F-Zero! You'll pay!"